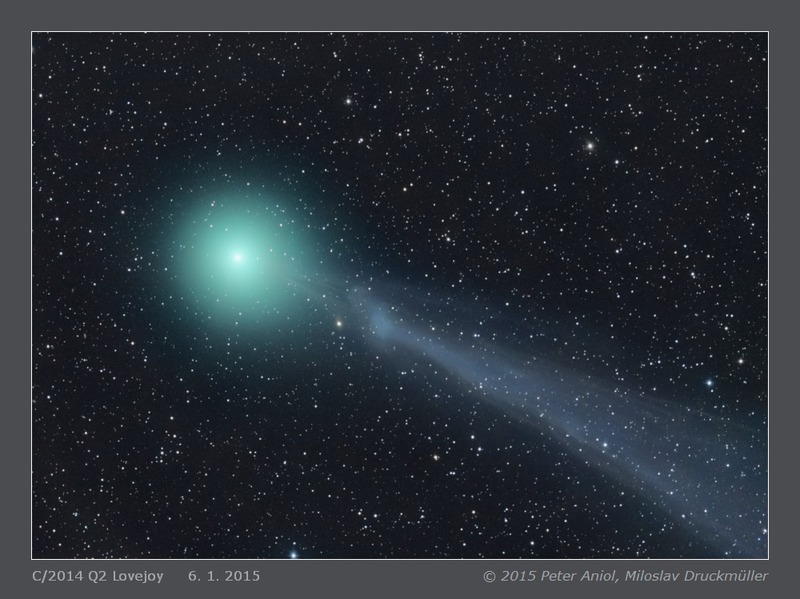 This image shows a disconnection in the plasma tail of C/2014 Q2 Lovejoy comet. The comet was 1.34 AU far from the Sun but only 0.47 AU far from the Earth - close to the nearest point. The movement of the comet in the sky was very fast - 7.6 arcsec/min. 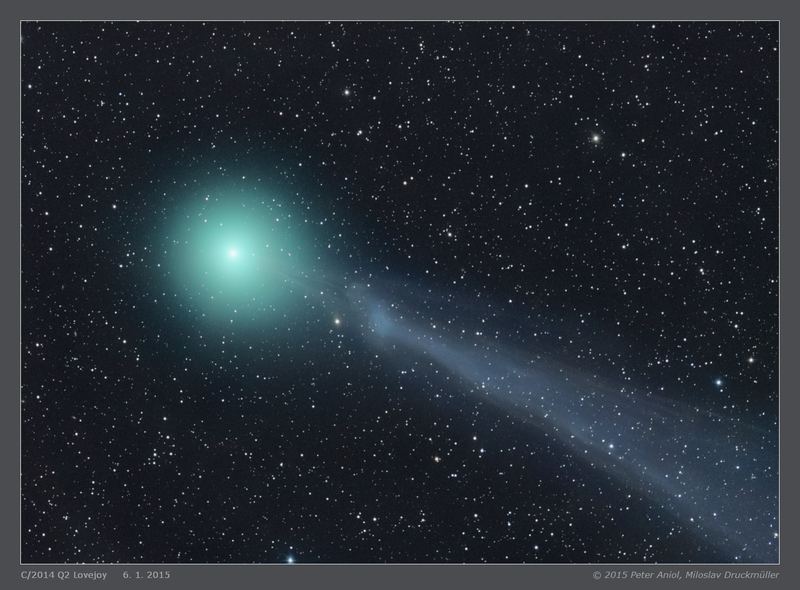 The change of comet's plasma tail during 2 hours is shown this pair of images.